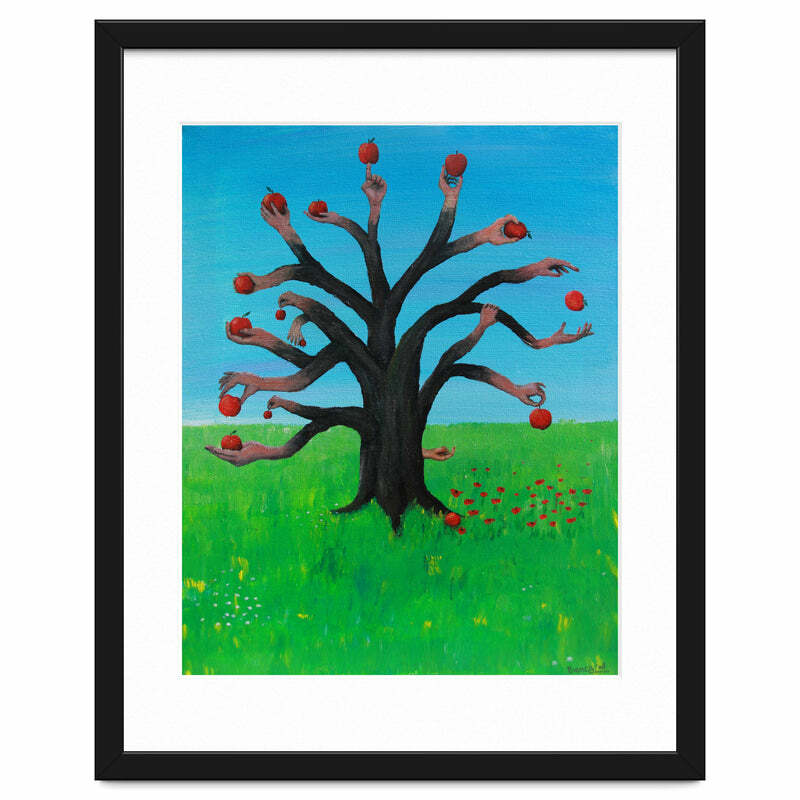 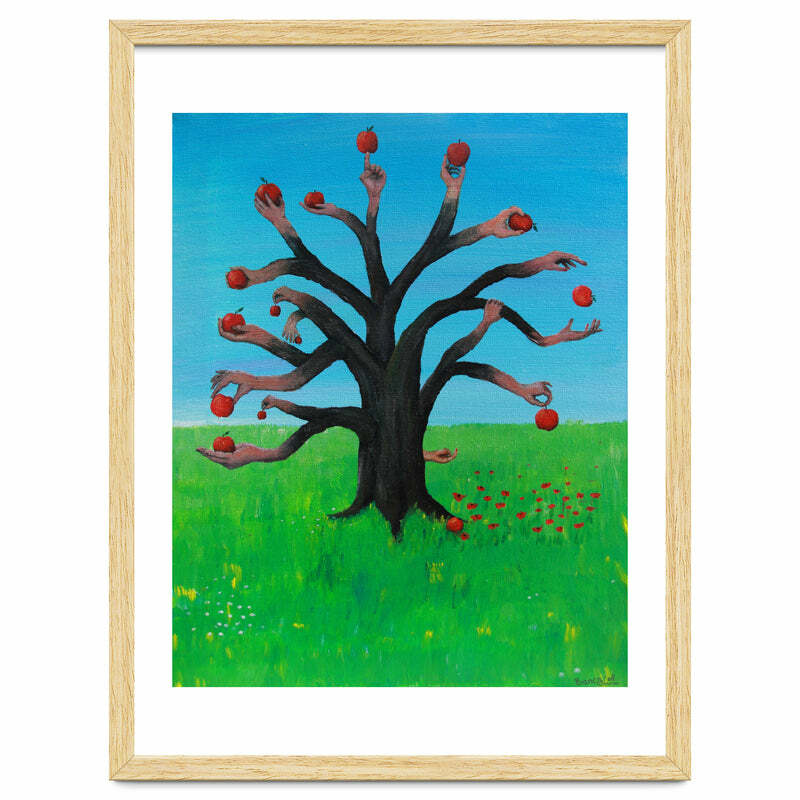 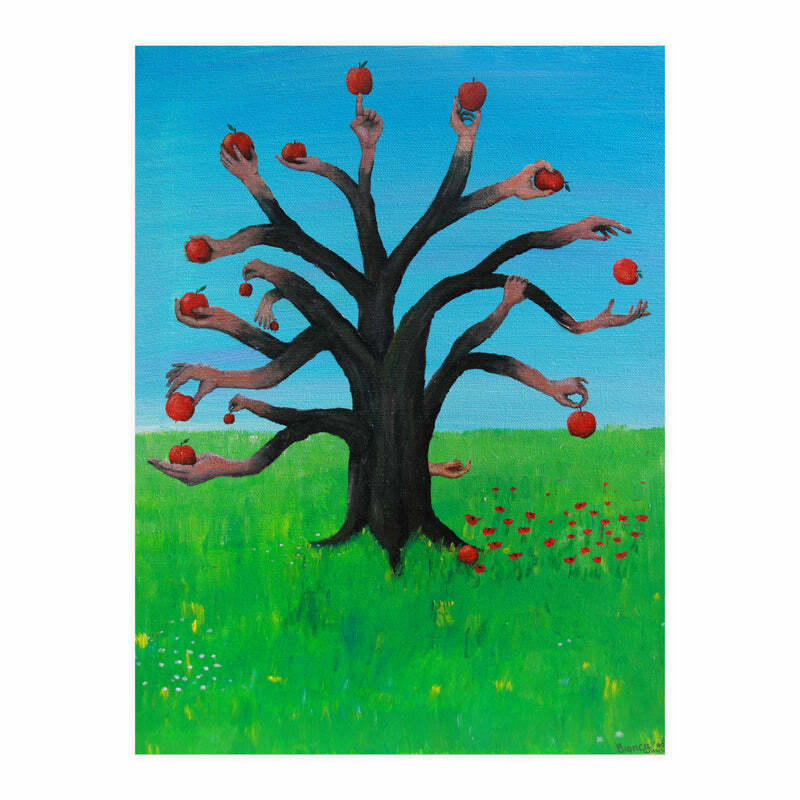 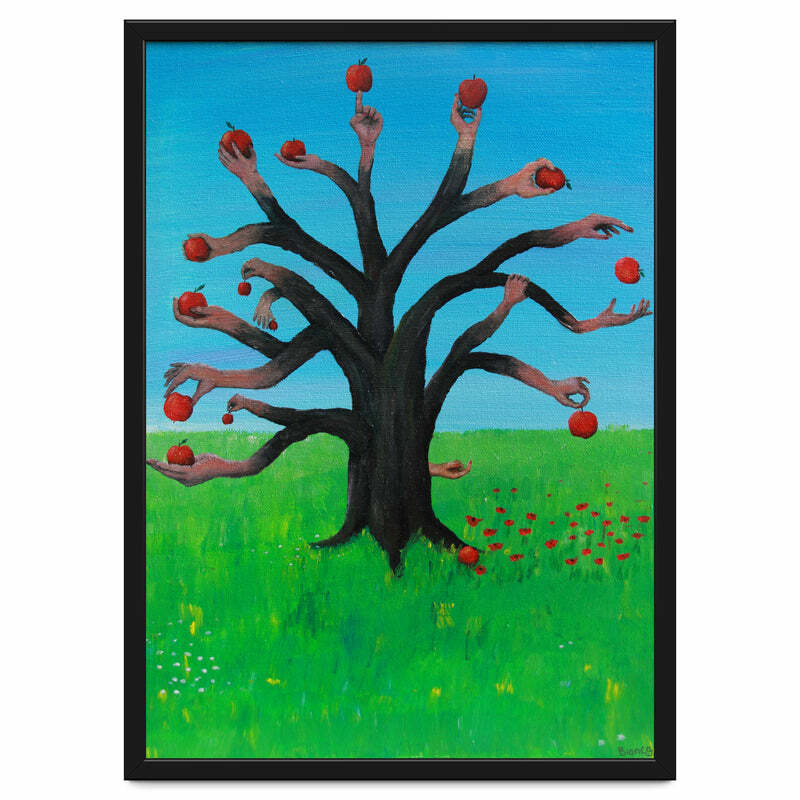 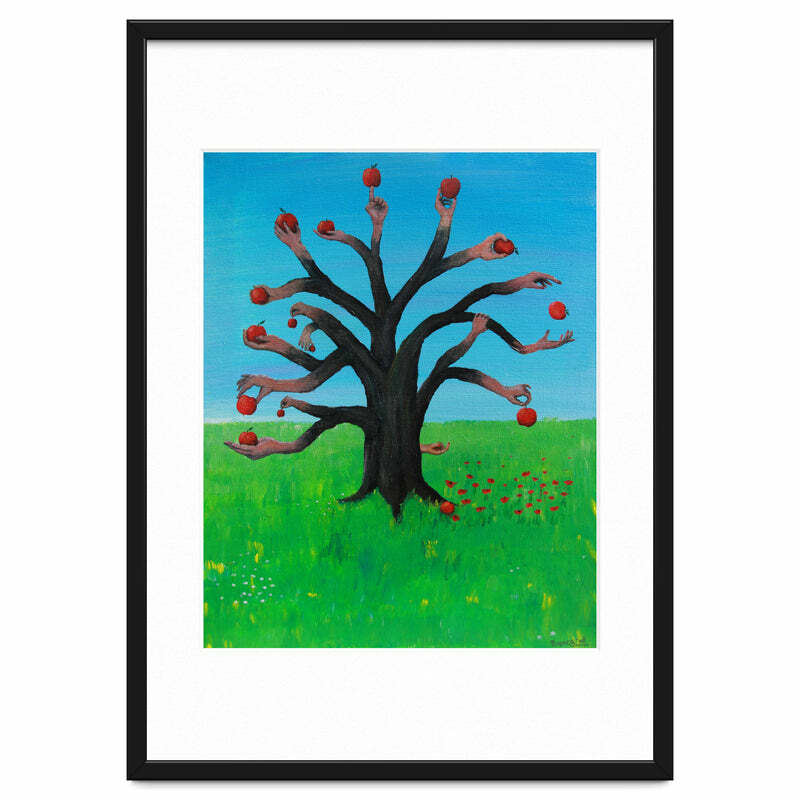 An acrylic painting of a special apple tree. The branches are arms with a hand at the end. Apples of temptation .... 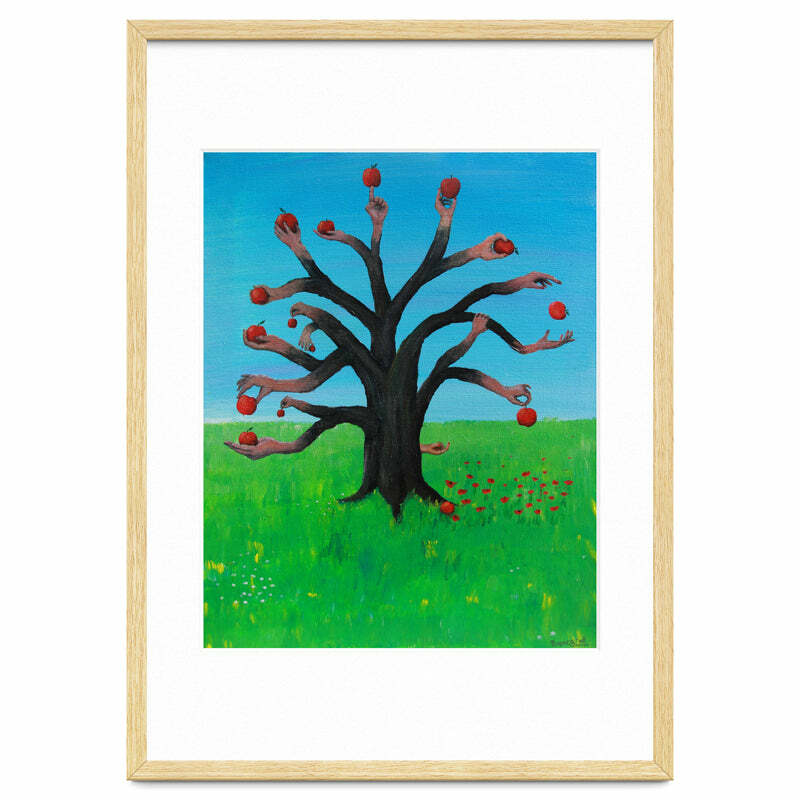 The tree stands in a flat grass landscape and the sky is clear blue.